Raw food classes in Cambridge (and beyond)! Let’s get in the kitchen together! My natural food classes are a great, ‘hands on’ way to learn how to make gorgeous food in just minutes. If you’re looking for private classes for yourself and/or a small group of your choosing, then this is the page for you! In other words, everything is oh-so-practical, fun, and easy! You’ll learn how to make many of my now-famous 5-minute recipes…plus I’ll show you how to make the most out of each recipe so that you can start to create your own versions if you want to. 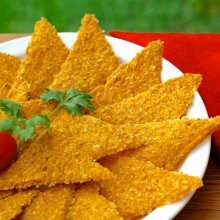 I also offer help with dishes that require a bit of practice to make perfect, such as crackers, cookies and cakes – including my now famous Tortilla Chips*! This is 5 hours of personalized teaching, and an hour’s lunch together. All food, drinks and snacks are included. I buy the food and provide the recipes – all you have to do is turn up! So for example if you have a friend who wants to do it with you, the total would be £497 + £30 = £527 split between 2 people, or £263.50 per person. Not bad for a full-on day of transformational, hands-on learning…and eating! Half day (10 am to 1 pm): £250 for one person, plus an additional £30 per extra person. This is 3 hours of personalized teaching. All food, drinks and snacks are included. So for example if you do it with a friend, the total would be £280, or £140 split between two people. We cover at least 3 recipes per hour, in depth. I go into recipe substitutions too, so that you’re actually learning how to create as many as 6 or 7 different dishes from one recipe, and you’re learning techniques at the same time, so that you can start experimenting if you want to. Your next step is to contact me so that we can discuss exactly what you would most like to learn. I look forward to ‘uncooking’ with you very soon!